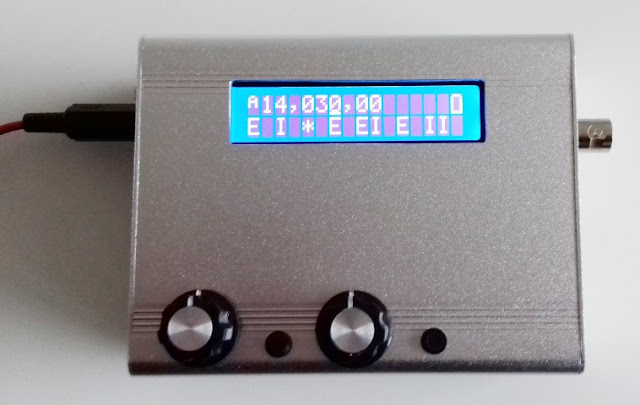 A small radio has a small battery so i came up with this idea. 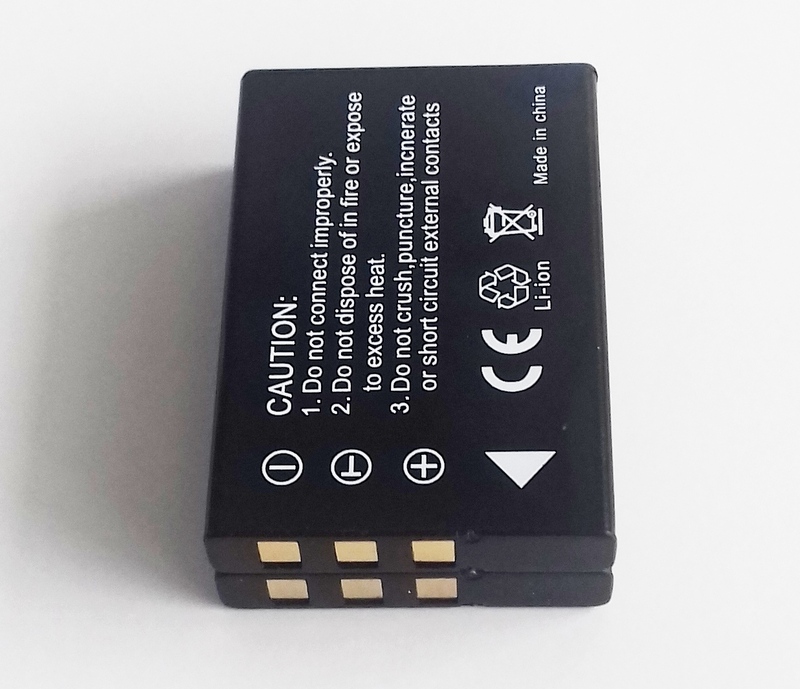 A battery case for AA size batteries is available on the net . 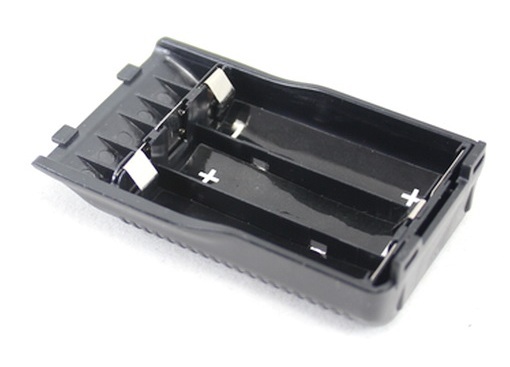 By removing all inside material with a Dremel tool enough space is created to hold 2 Li-ion batteries in parallel. 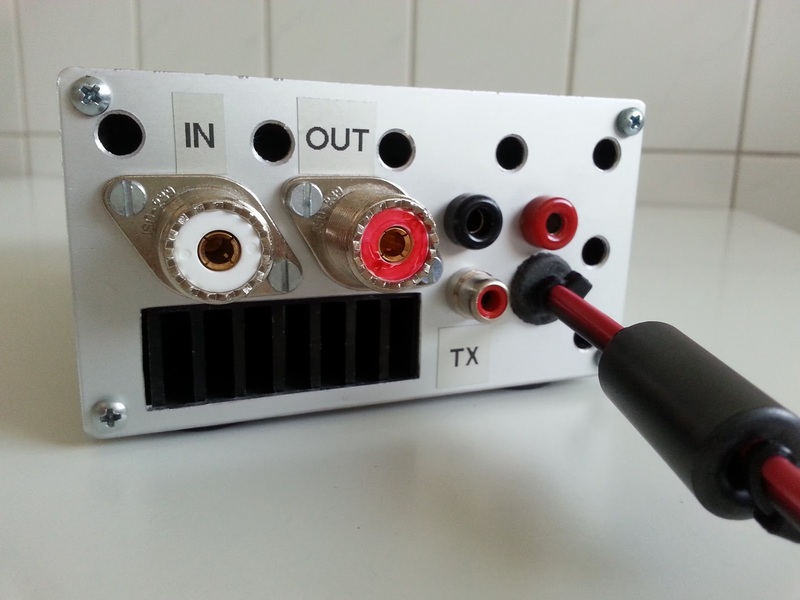 Two thin brass strips can be used to solder the packs together resulting in a 2800 mA powerpack. 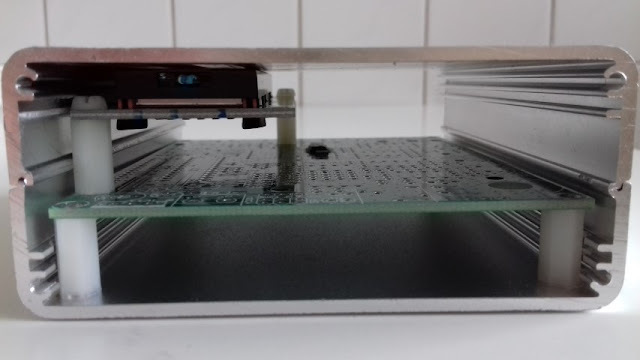 Be sure that the two cells are fully loaded before soldering them in parallel. 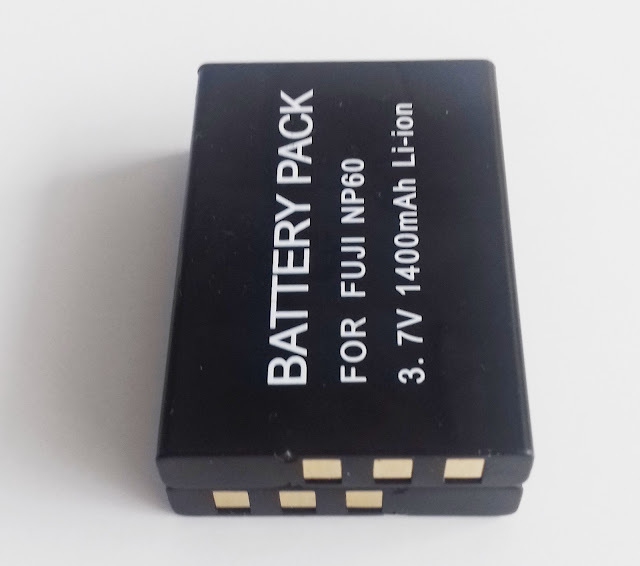 Look for Fuji NP60 batteies on ebay , they are simply glued together .Some foam rubber is needed to fill up the extra space between the pack and the cover. Those who don't like to solder a battery can glue the 2 cells in anti parallel. You need to flip the pack if one cell is emty. 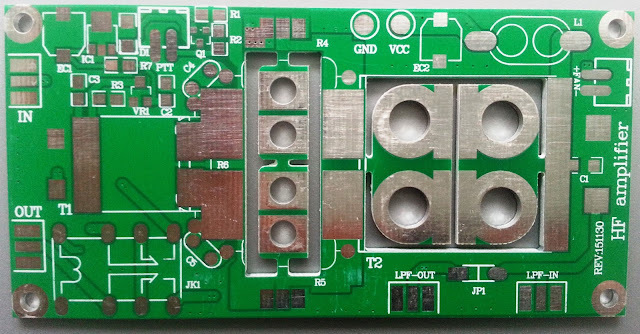 The two SMD ICs are already factory pre-soldered. Compleet unit size incl. 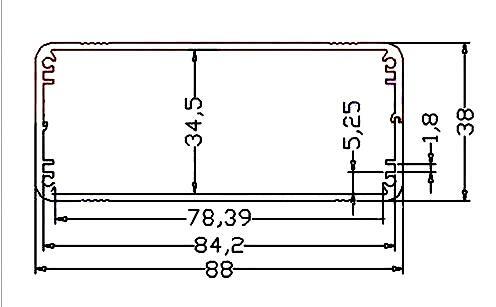 spacers : 101.6mm x 81.3mm x 34mm. A little gem needs a nice encclosure. By means of a shaft extender the difference in height of the controls is matched. 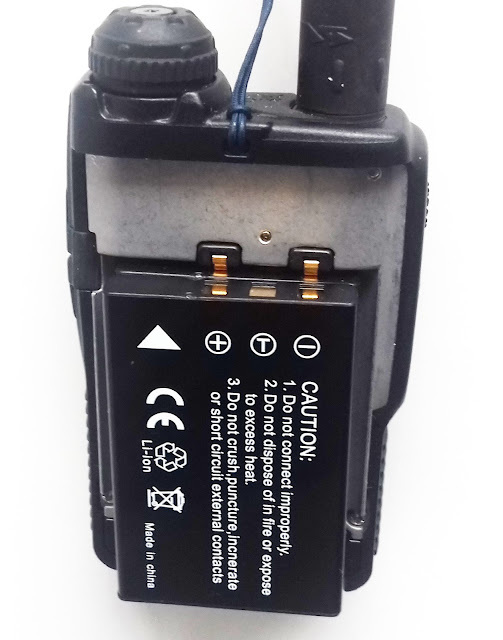 Don't use the standard BNC connector from the kit. The PCB will be off centre. Making markings for 3mm holes. Removing the groove in the cover is verry easy. By carving into the alloy as the picture shows the material weakens and can be removed with a small srewdriver . At last the controls of the QRX are fixed. 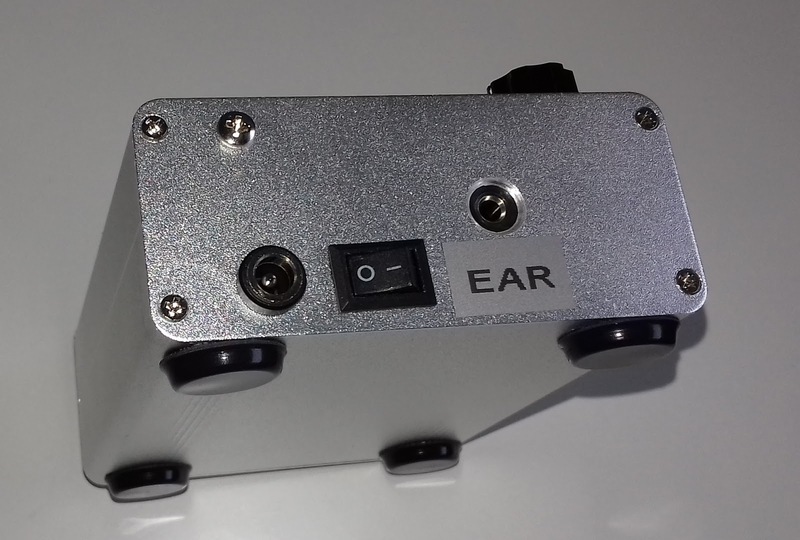 I had 2 extended push buttons in stock as wel as some cheap plastic potentiometers. The shafts were cut of and appeared to be hollow. A 1/8( 3mm) drill was used to enlarge the shaft inside for aprx. 2mm. Next the shaft was pushed over the button’s shaft and fixed with superglue. 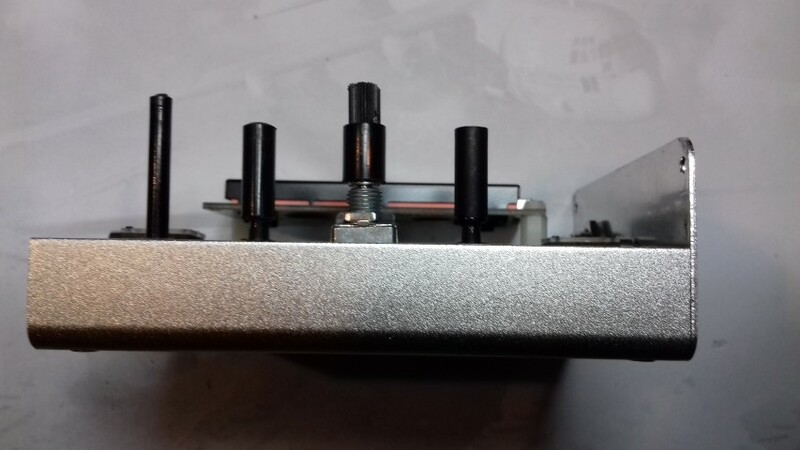 The original potentiometer was replaced by a longer one . 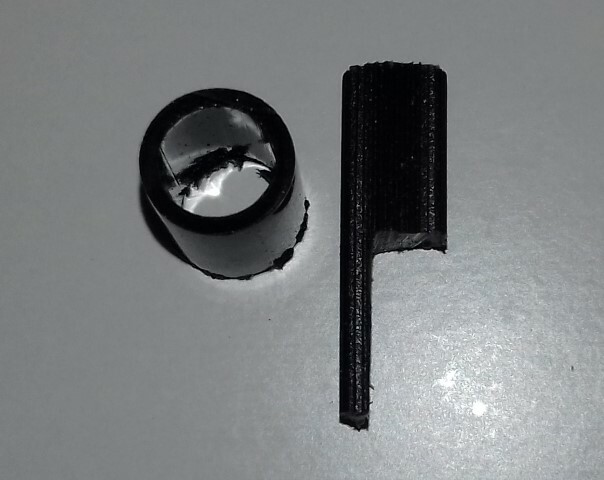 A simple pice of modified shaft and a small pice of plastic tube were used to extend the encoder shaft. I had a BN43-202 core in stock and attempted to try to create a small QRP EFHW transformer from 7 - 29 MHz. 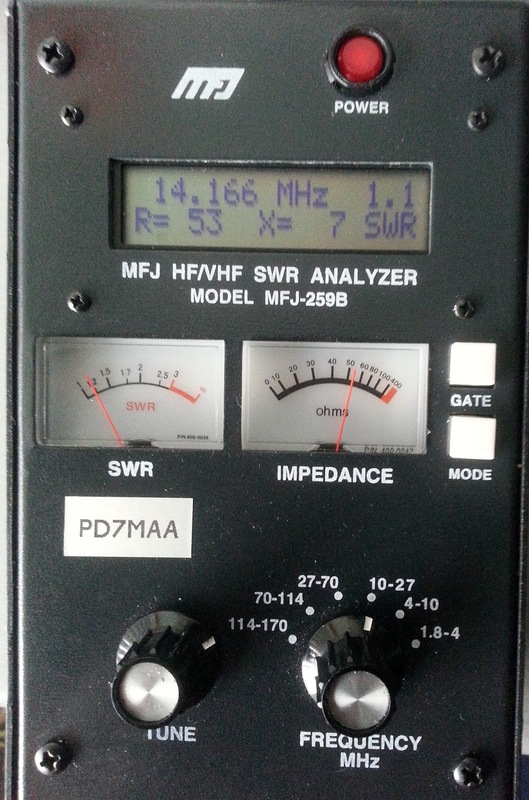 As you can see in the plot the swr is verry flat from 40-10m so a capacitor at the input is not needed. A 3300 Ohm resister to ground was used for the plot but at 1700 Ohm the transformation is near perfect. 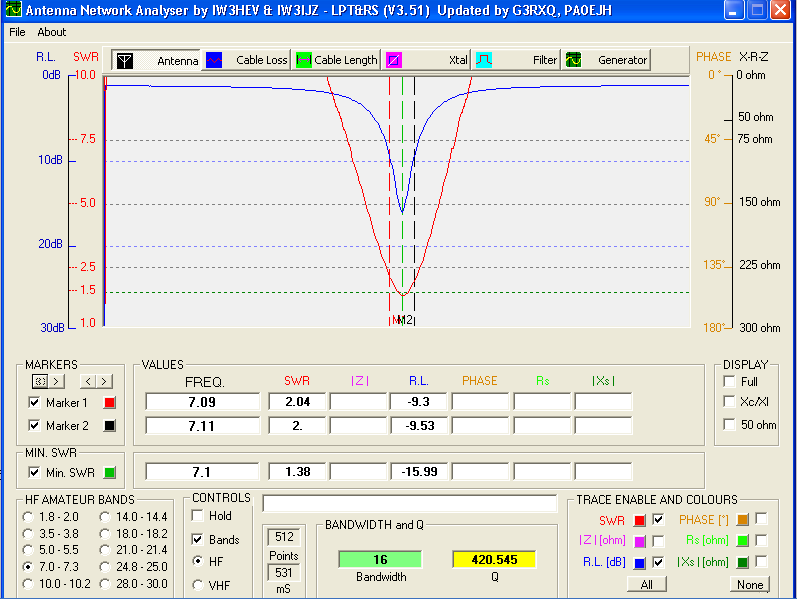 Don't use thin antennawire for this rises the impedance of the antenna. 1.5mm is a minimum . 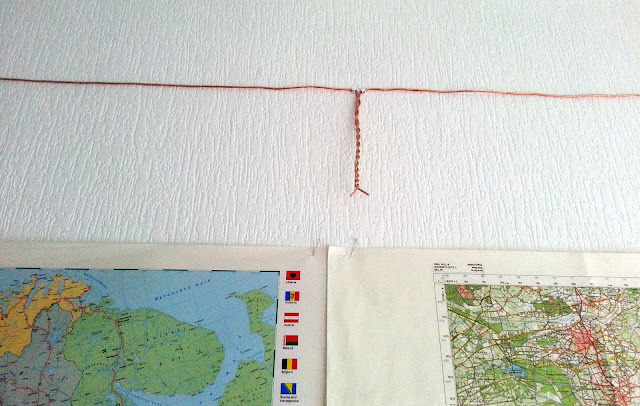 With just 20.3m wire this makes a nice 40-10m antenna. 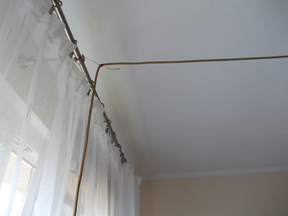 You can also use the 34uH coil of the endfed down this blog to create a compact 3 band atenna of just 12m long. 10 Watts PEP is the max. power here. Be carefull, each pass is 1 turn here. A test with 2 transformers back to back showed a power loss of about 18% on 20m. 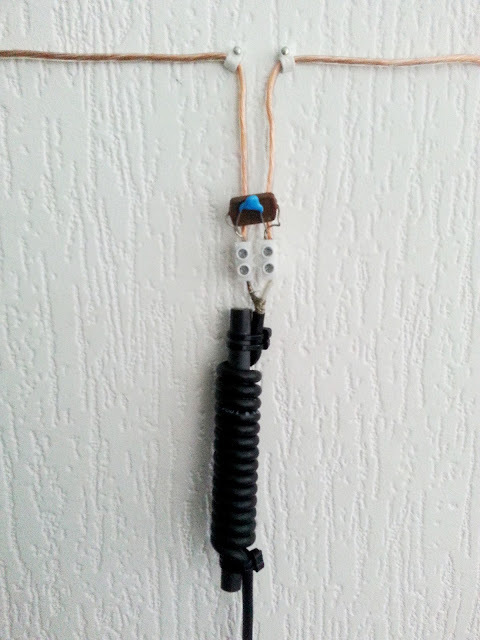 I used 0.7mm transformer wire . 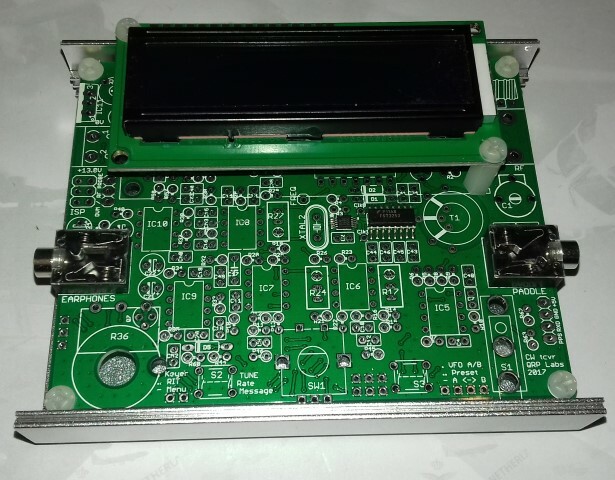 My first impression : High quality PCB ( 100 x 50mm ) , all parts in the kit including 2 power FETs type IRF530N. Capacitors are 10nF instead of 100nF as shown in the schematic but that's not a problem. 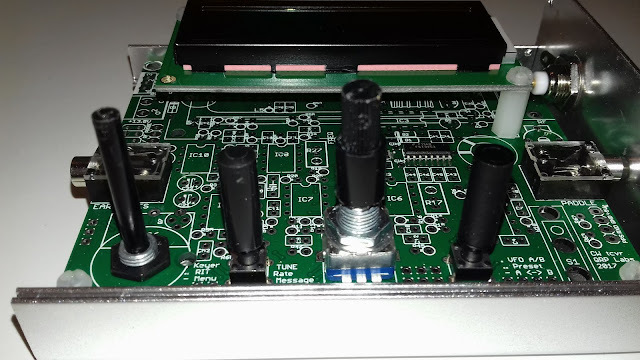 The 0.5 turns windings are on the PCB by means of the tubes inside the toroids. Supports for the transformers need to be cut out of the pcb. 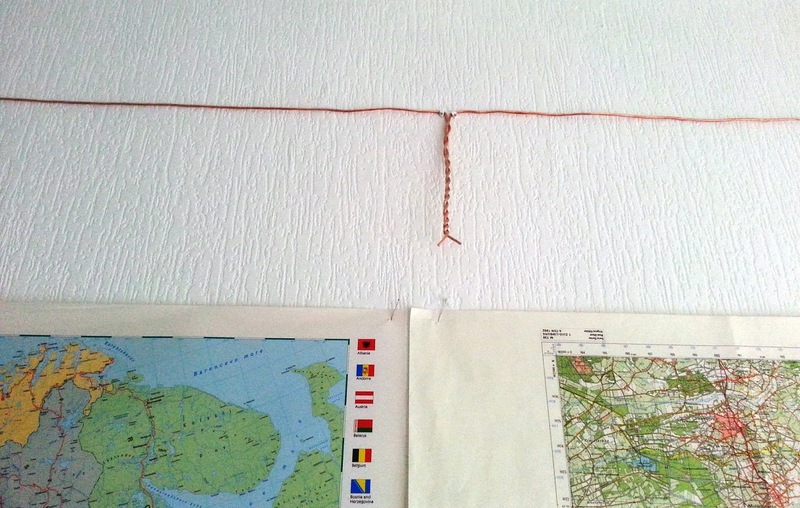 Construction is easy but a lowpass filter for each band is mandatory. 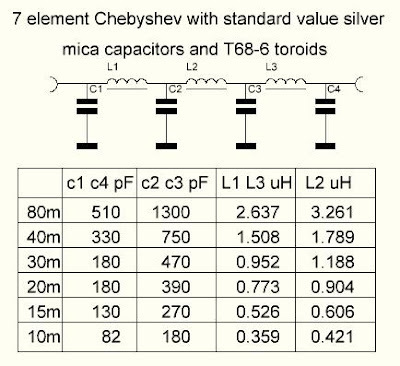 I used the low pass data from W3NQN for a 7 element Chebyshev with standard value silver mica capacitors and T68-6 toroids. 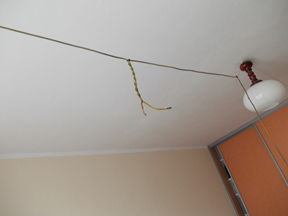 The provided wire for the power chocke ( 2 turns ) has a weak coating . 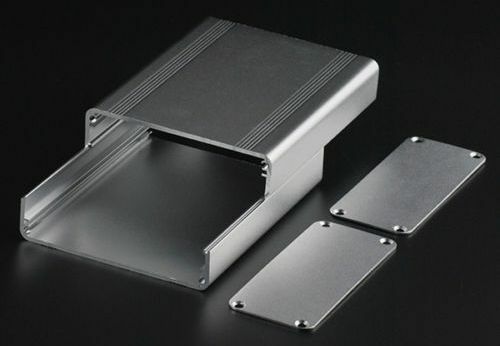 It's better to replace it to avoid shortcuts .Start soldering the small parts and end with the transformers. Turn the potentiometer anti clockwise and slowly adjust the bias to aprox. 3.7V. 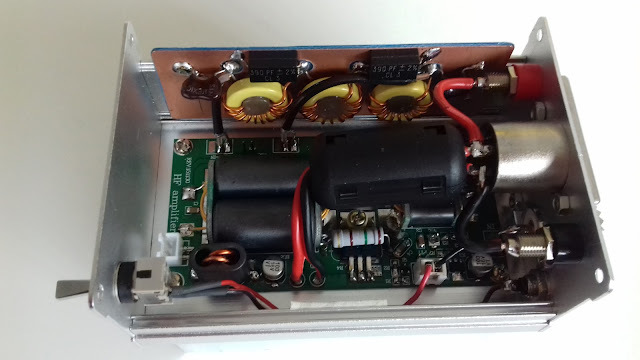 I replaced the FETs by a pair of IOR IRF530N resulting in more stabillety en less input SWR however the input swr is highly effected by the drive power . 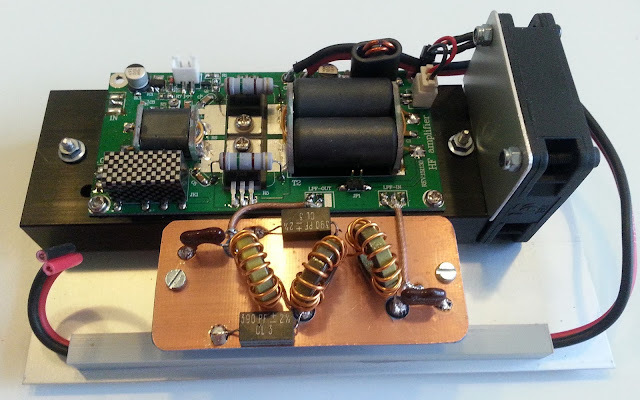 At 5 Watt the swr mounts to over 1:3... . Best results with this PA are obtained on CW and FM . The test was in the original configuration at 13.8V and 5Watt FM input from my FT-817. Max. power was 80 Watt . At 3 Watt input the output was about 50 Watt at 20m. but the modulation was as expected distorded in ssb mode at the recommended 2.7V bias voltage. Unfortionally the seller often forgets to add the documentation, the picture shows a copy of the original pdf file. Conclusion : This is a nice kit with acceptable results for a low price. 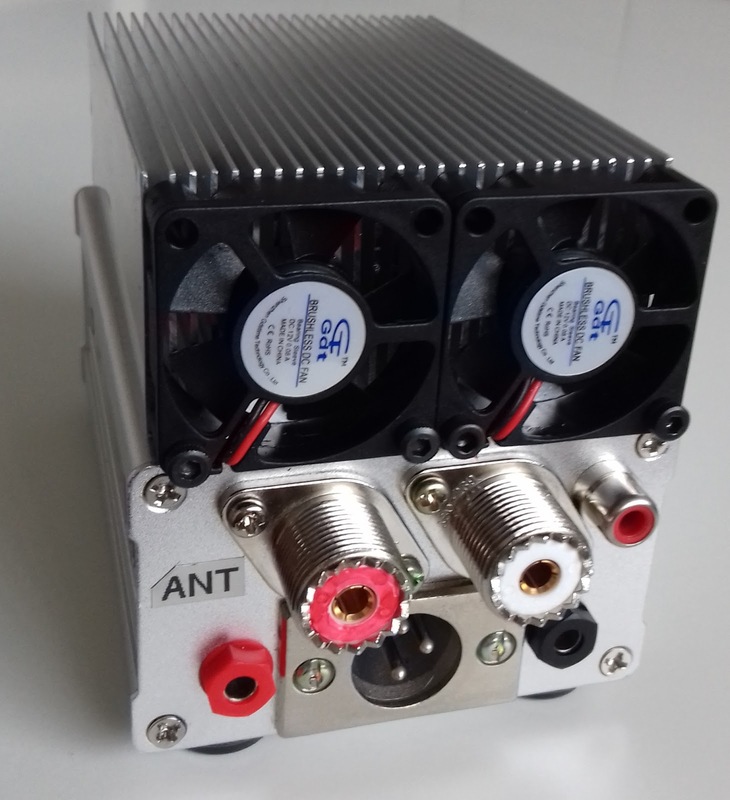 For best results reduce the drive power to 2.5 Watt. 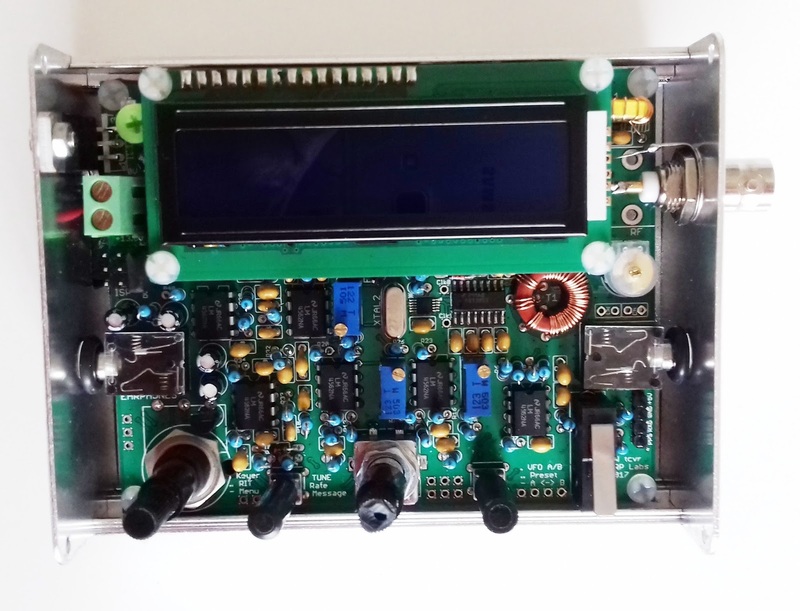 swr at 5 Watt input : 1:3+. swr at 2.5 Watt input 1:1.8 with more than 50 Watt output. This is more than enough for fieldwork. Better input swr update by OE1CGS : Link I had a 18 Ohm 3 Watt resistor in stock, the swr is near perfect on 20m. at 5 Wattt input (-: The output has dropped to 50 Watts , more than enough on a good antenna. 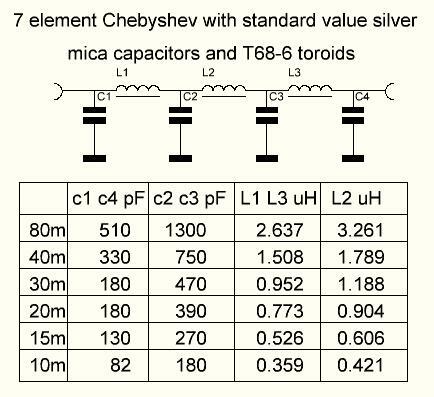 OE1CGS found these values for the missing R6 over the input transformer for a low input swr. Use a carbon or metal foil resistor . 35mm cooling fans installed with LM-317 speed controll. A stealth solution for apartments . 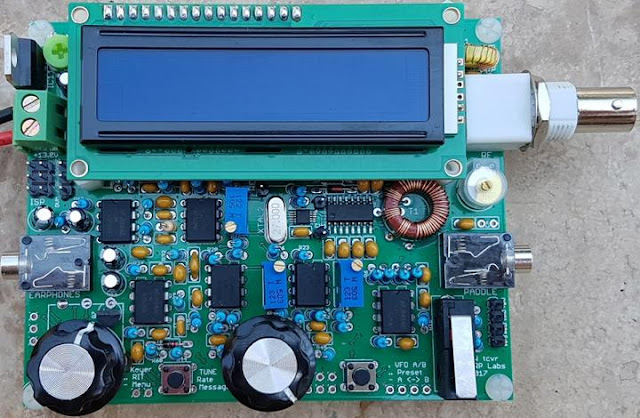 Tuning steps : Change the length or the turns of the top capacitor to tune the loop to the desired frequency then put a 500 pF tuning capacitor over the feedpoint and look for the lowest swr. You can replace this capacitor by a fixed type. Feedpoint with 100pF and 47pF in parallel. Notice the line choke. 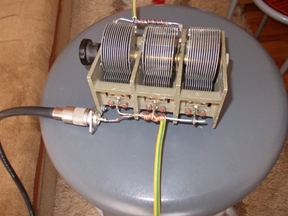 Flat SWR from 3.5 to 30 MHz with 8 double turns on a 4C65 or FT140-61 toroid. 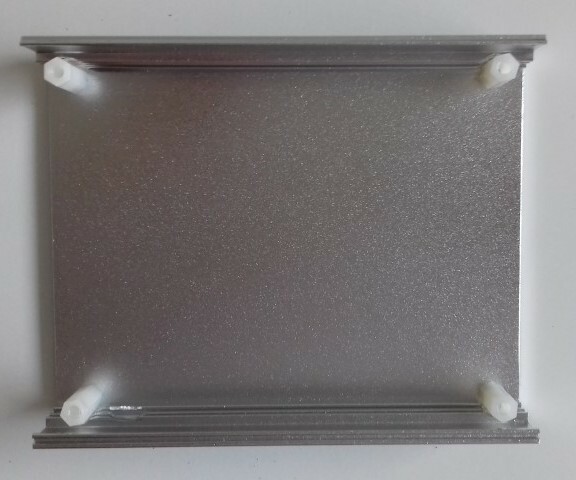 SWR 1: 1.1 in the centre. The 4C65 was used because it was in stock . A FT240-43 with 12 turns wil provide a almost flat range from 160 - 10m. 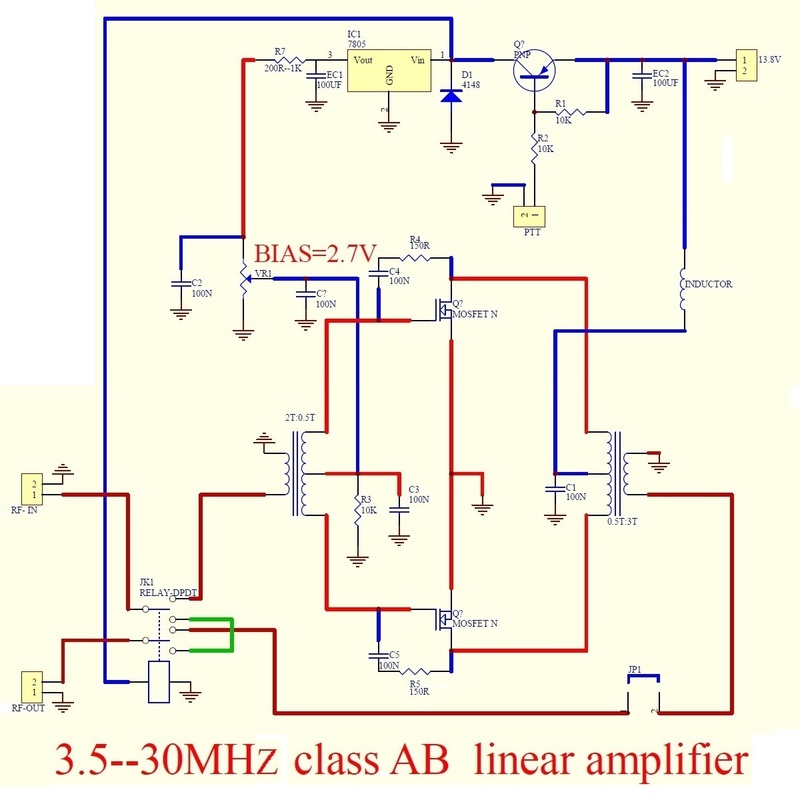 This small loop can handle 20 Watts from 45-10m . Loop circumference is 2.5 m with a Faraday coupling loop of 50 cm . Sticks are 6 mm glass fibre ( kiteshop).The 2 vertical sticks are 41cm and the suports are 34cm long. 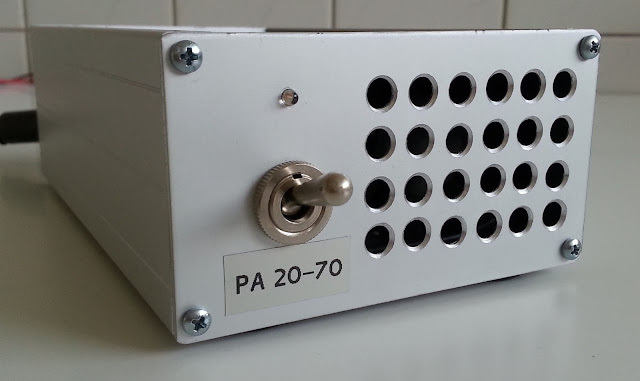 A 2 x 500 Pf tuning capacitor with the sections put in series is used for tuning. Because of the high Q a 1:3 reduction is convenient but not mandatory . 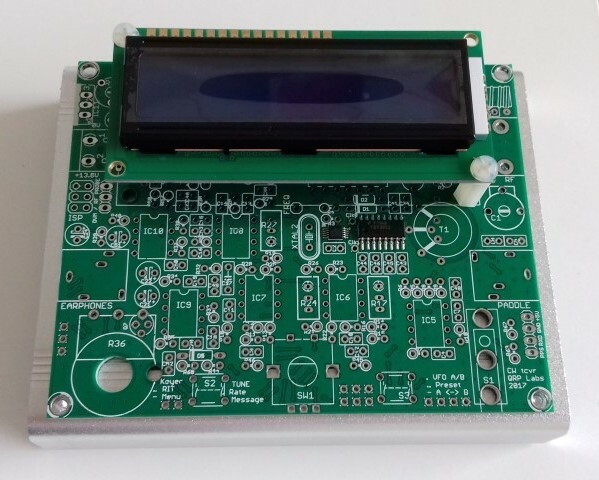 The loop is made of RG-213 with the shield and centre soldered together. Highest SWR is 1:1.5 . 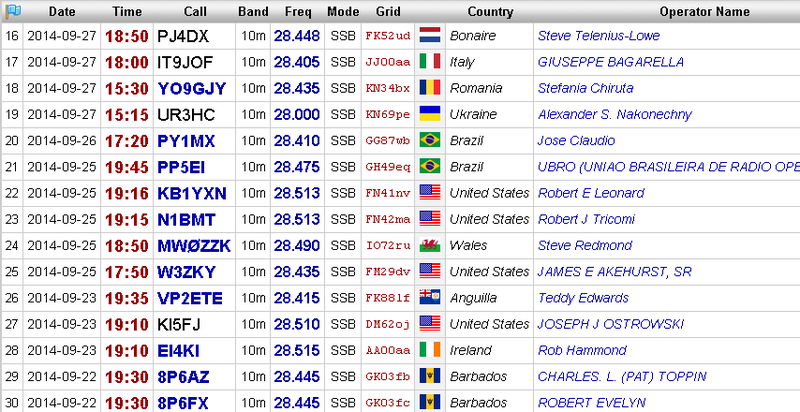 Despite of bad conditions, first contacts were made troughout Europ with 10 Watts SSB. 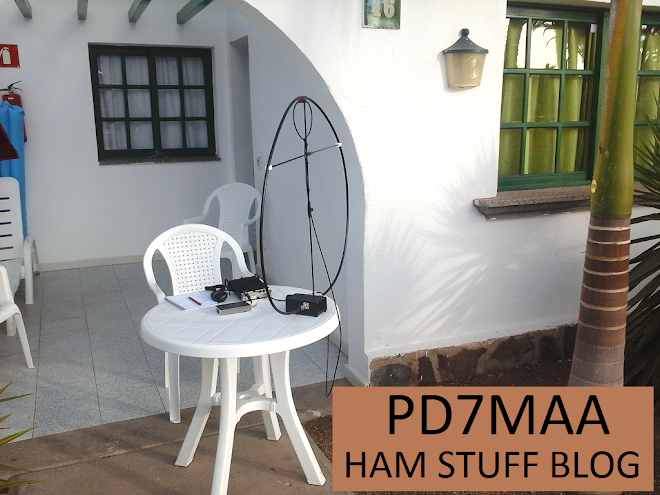 Meanwhile contacts were made with 5 Watts SSB over the Atlantic including the Caribic , Brasil , USA ands. See the list below. 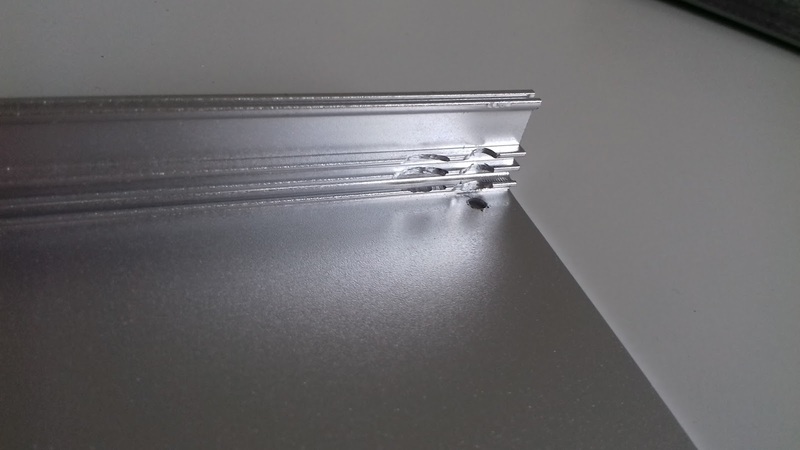 The Faraday coupling loop is made of RG-58 and is bend to a slightly horizontal oval, reducing the space between the loops that leads to a drastic improvement of the swr / return loss. 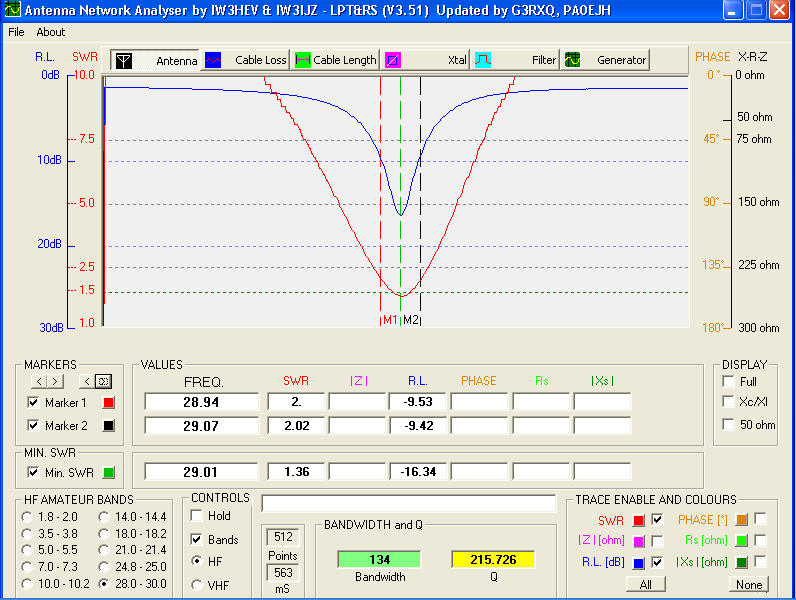 Plot 14.200MHz after coupling loop modification. Improved coupling by reducing the space between the loops . 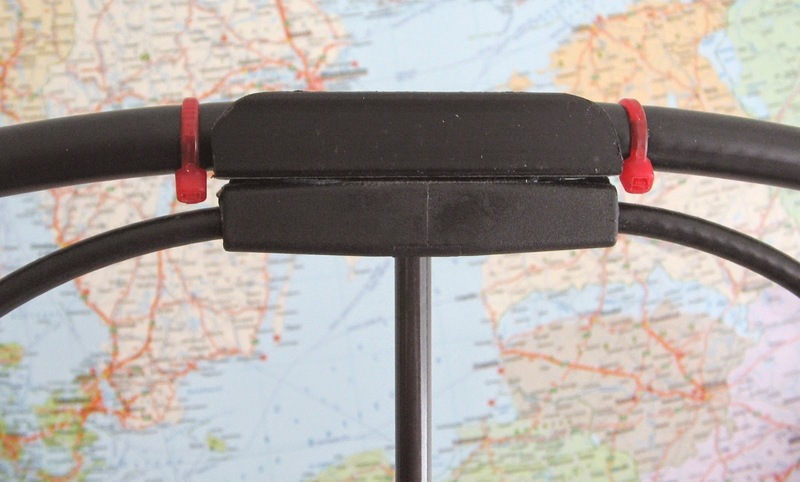 I used a piece of U-shaped plastic for the looprest. . Although fast tuning is a big plus with this loop, the overall efficiency is less than the twin capacitor Travelloop further down on this blog. The broadband coupling loop makes a perfect match impossible. A perfect match can only be made with a 2 capacitor coupling . 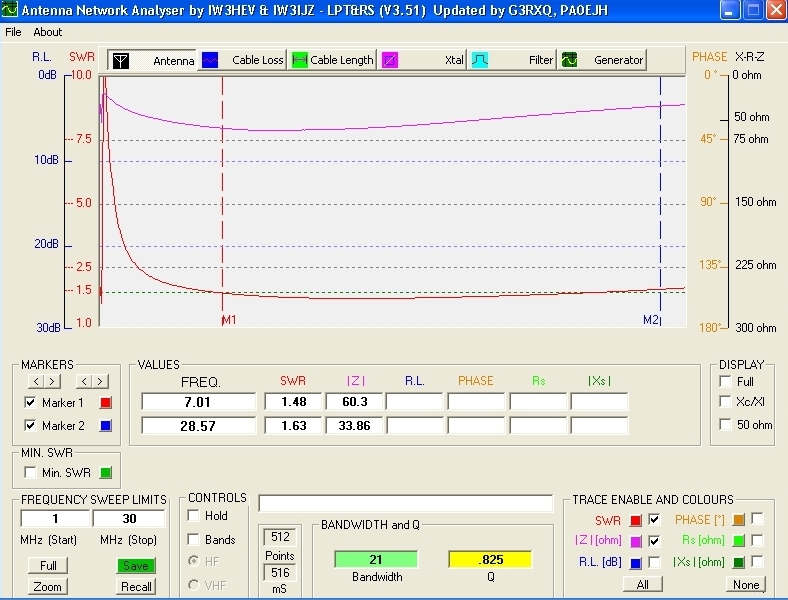 The efficiency on 40m. is only about 5% but enough for cw. The fun realy starts at 30m. and up. 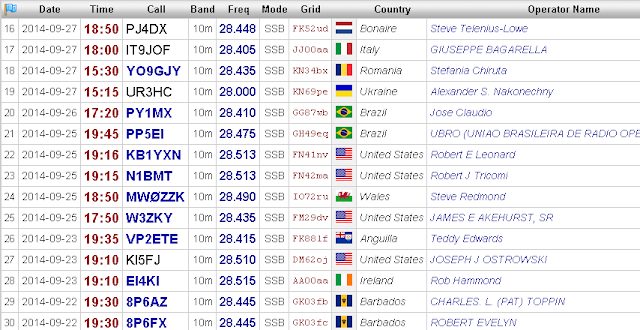 On 20m.the performance is verry acceptable . 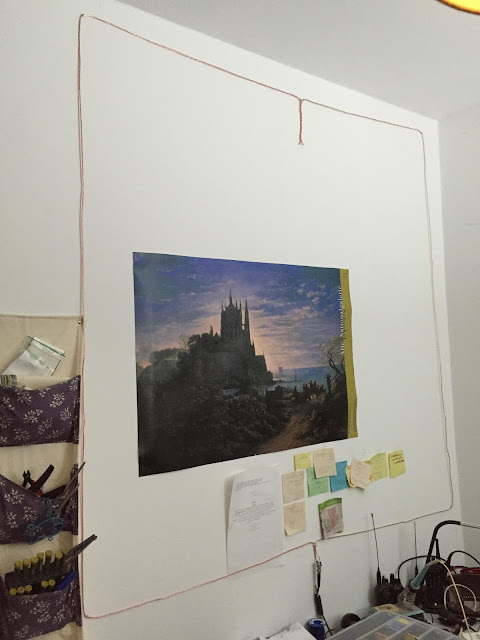 On 10m.efficiency equals a full size 10m. 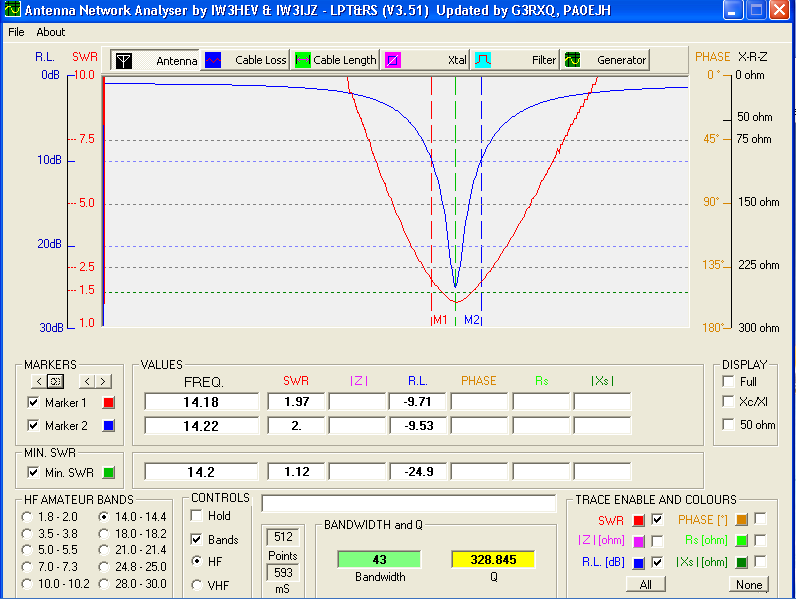 band dipole and amazing contacts can be made with a verry low noiselevel.